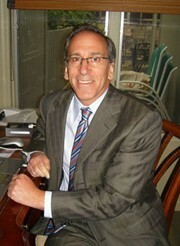 The Long Island Planning Group, Ltd., founded by Robert Israel, has been in business since 1975 offering access to financial products and services. We help our clients coordinate their life insurance, health insurance, disability insurance and long term care insurance needs with their financial goals. We work with our clients, both individuals and businesses, to create a diversified portfolio that recognizes their objectives. Our goal is to establish and maintain a relationship with our clients. After discussing the needs of our clientele, we develop and discuss the available options. Understanding our clients' objectives allows us to offer our experience in financial products and strategies to develop sound and workable plans. Coordination with the clients' advisors including their CPAs, attorneys, bankers, trustees and trust officers is essential to our team oriented approach. Our periodic reviews are designed to help clients pursue their goals, even as they change over time. *All investing involves risk including loss of principal. No strategy assures success or protects against loss. There is no guarantee that a diversified portfolio will enhance overall returns or outperform a non-diversified portfolio. Diversification does not protect against market risk.